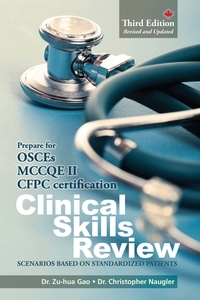 The new edition also meets the demand for competency-based education with the inclusion of protocols from the College of American Pathologists for examining and reporting tumors. 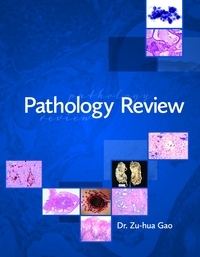 Pathology Review and Practice Guide is now more than an exam preparation tool--it's also a guide to the training of competent pathologists. This updated edition also includes a new chapter on quality assurance and laboratory management. The 19 topics covered in this guide include basic science, cardiovascular pathology, forensic pathology, infectious diseases, neurological and muscular pathology, and more. Questions are framed to rehearse case scenarios, differential diagnoses, diagnostic procedures, classification of tumors, hallmark features of pathological entities, and pathogenesis. You will also find tips for maximizing your success both on the exam and in your practice. Zu-hua Gao, MD, PhD, FRCPC is a surgical pathologist with extensive clinical and teaching experience. He is currently Professor and Chair of the Department of Pathology at McGill University, and the Pathologist-in-Chief of McGill University Health Centre.